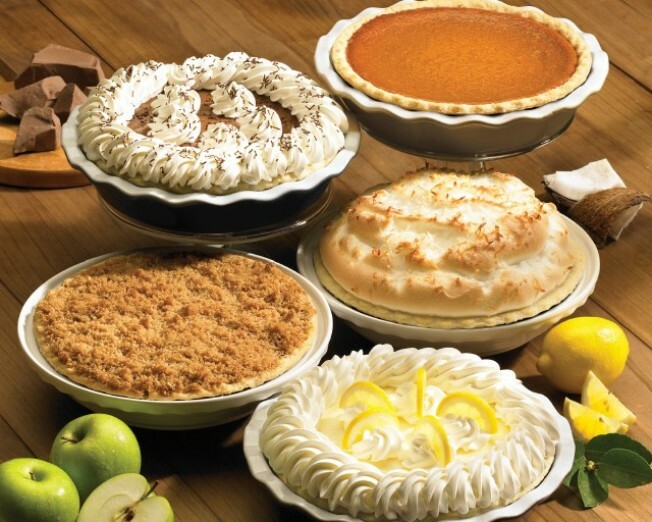 Buy an entree, get a pie slice, for one day, at Marie Callender's. It's National Pie Day on January 23rd, and Marie Callender's is celebrating with a free slice (when you buy an entree). Of all the strange and wonderful and sometimes silly and sometimes important holidays that truck through the year -- hello, National Bendy Straw Day -- we're kind of always and forever waiting on anything to do with pie. We're in luck. Turns out January 23rd is that powder sugar-doused day -- the American Pie Council says so, and we're not going to question their whipped-cream-y wisdom -- and there's a deal going on. Oh, we want to go back and type "delicious deal," but since we just typed it here, we'll let that suffice. Marie Callender's is the place. There's a participating Marie's near you, we're guessing. Saturday, January 23rd is the day. And the promotion is buy an entree, get a free slice of pie. There you have it. There's not much to add, except you'll have to skip the cheesecake pies. But you like apple anyway. Or cherry. Everyone does, and this comforts us.